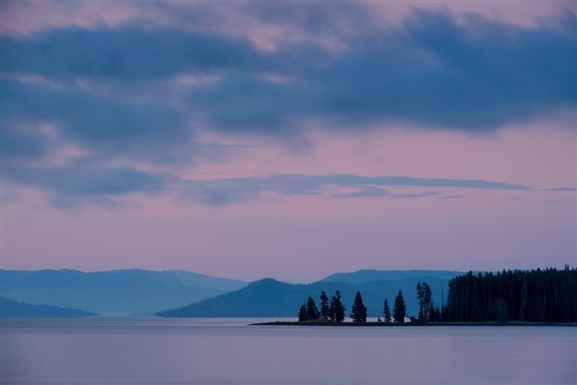 With dramatic peaks and pristine lakes, Yellowstone is an outdoor enthusiast’s paradise. Multicolored pools swirl around hot springs; verdant forests weave past expansive meadows; and volatile geysers launch streams of steaming water toward the sky. With so much unspoiled natural beauty, it’s no wonder everyone suspected John Colter (a scout for explorers Lewis and Clark) was embellishing when he first described Yellowstone’s geothermal curiosities in 1807. Nowadays, there’s no doubt that the park is indeed extraordinary. While you traverse the park’s 3,000-plus square miles of mountains, canyons, geysers and waterfalls, be prepared to share the trails with permanent residents like buffalo, elk and sometimes even grizzlies. Although Yellowstone attracts about 3 million visitors every year, chances are — unless you spend your entire trip at Old Faithful — you won’t see much of them. 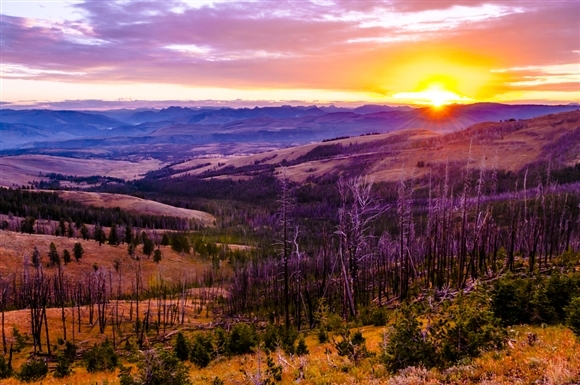 Yellowstone’s 2.2 million acres creep from the northwest corner of Wyoming into the edges of Idaho and Montana, offering plenty of untouched territory to explore. Carve out a day or two to take in the view at Yellowstone Lake and Mammoth Hot Springs. But save some time for the trails through lesser-known regions, like the hot springs of the West Thumb Geyser Basin and the untamed wildlife dotting the Lewis River Channel and Dogshead Loop. While the sheer number of trails and wildlife-watching opportunities may seem daunting at first, remember: You can always come back.